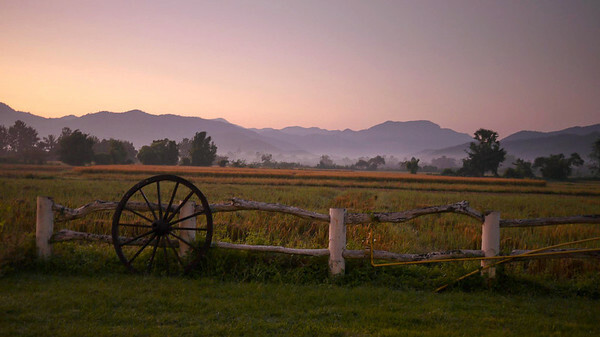 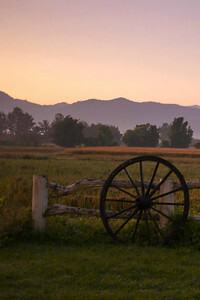 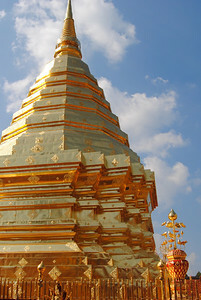 Travels over several years throughout Thailand and life as an expat in Chiang Mai. 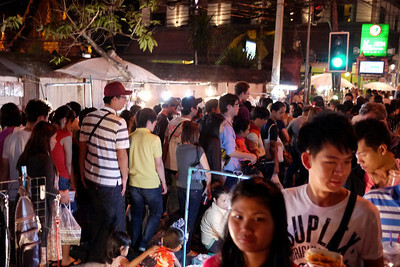 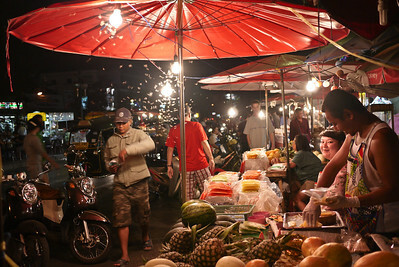 Very full and busy Sunday Night Market in Chiang Mai, Thailand! 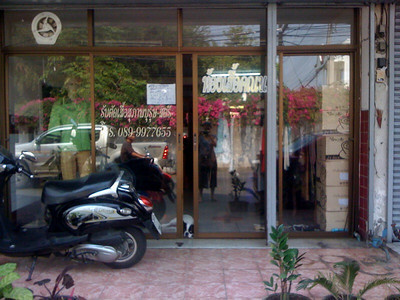 Dog peeking out of shop in Chiang Mai, Thailand. 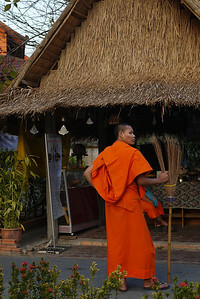 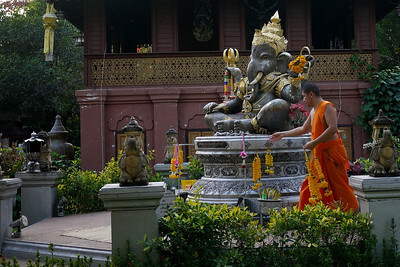 A monk at the Silver Temple in Chiang Mai, Thailand takes the offerings off of Ganesh for the evening. 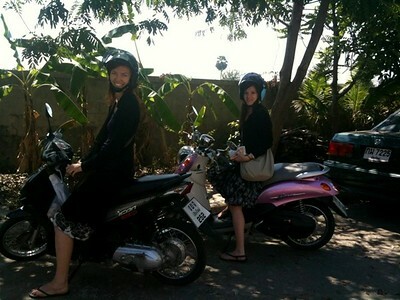 Scootering around town with my roommate in Chiang Mai, Thailand. 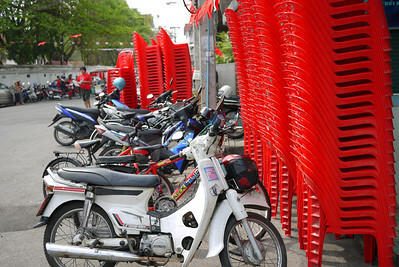 Redshirt chairs setting up in Chiang Mai, Thailand for the pending demonstrations. 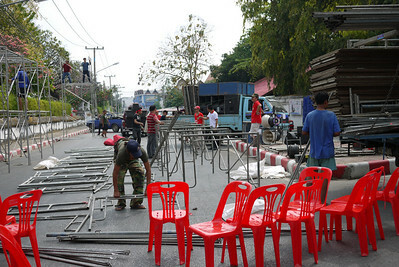 Stage setting up for red shirt rally in Chiang Mai, Thailand Arak Soi 5. 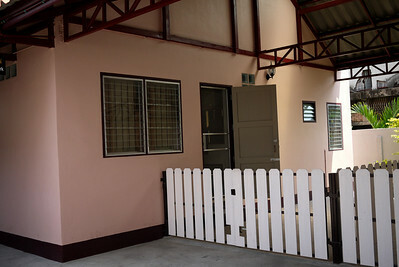 My rented house in Chiang Mai, Thailand. 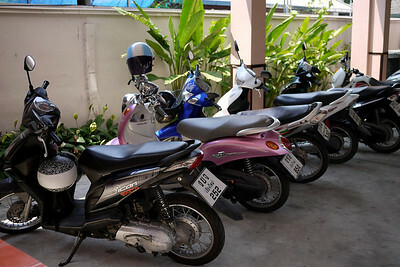 My motorcycle, the first one, the preferred and easiest way around Chiang Mai, Thailand. 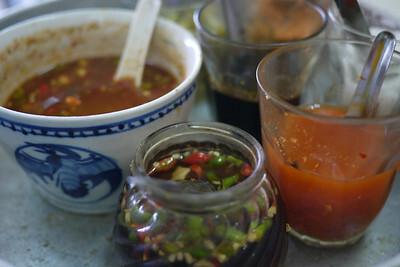 Table-top spice jars and sauces in Thailand. 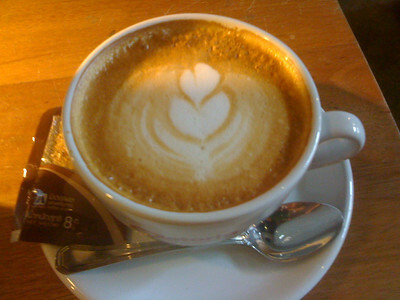 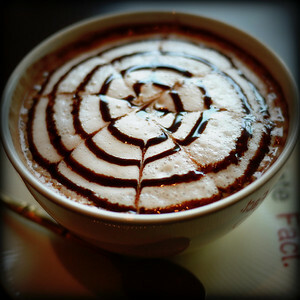 Latte art on my dark chocolate latte from a chocolate shop in Chiang Mai. 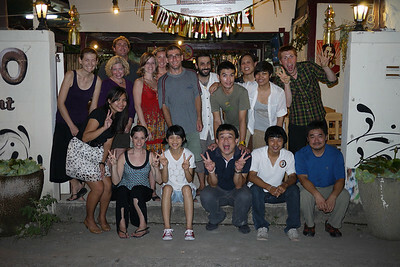 A Team Chiang Mai gang gathering! 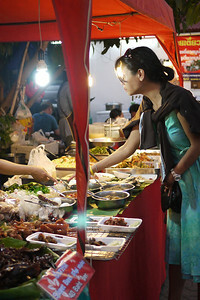 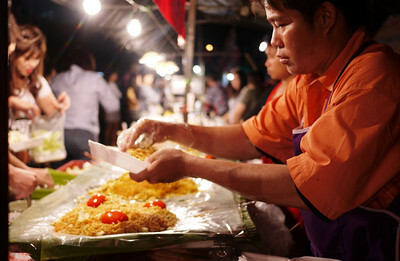 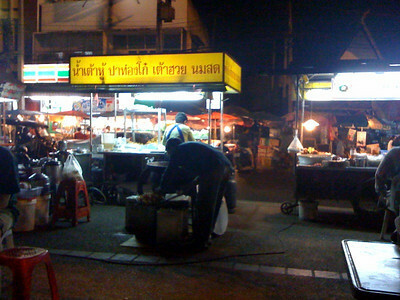 Food stalls at the Sunday night market, Chiang Mai, Thailand. 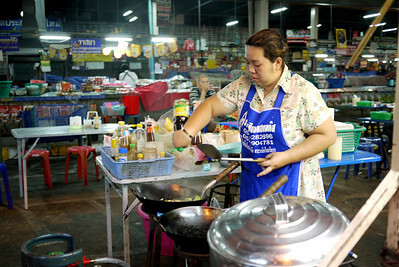 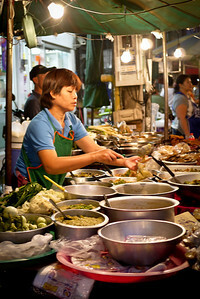 An array of cooked meals are ready to be served and eaten at the Chiang Mai Gate market in Thailand. 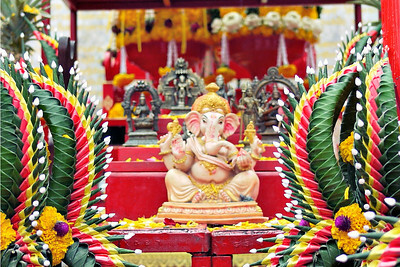 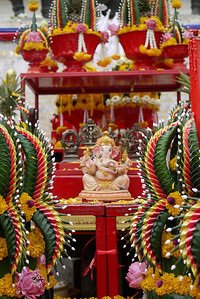 Ganesh decorated and honored at a festival in the Three Kings square in Chiang Mai, Thailand. 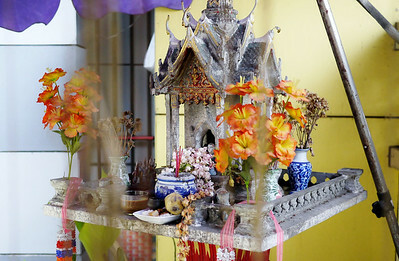 A colorful spirit house at a small outdoor coffee shop in Chiang Mai, Thailand protects the establishment and visitors. 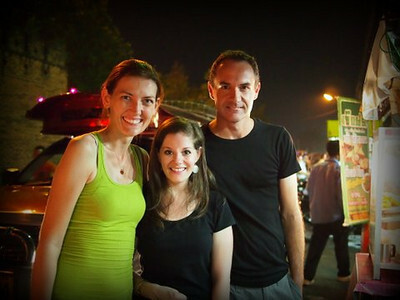 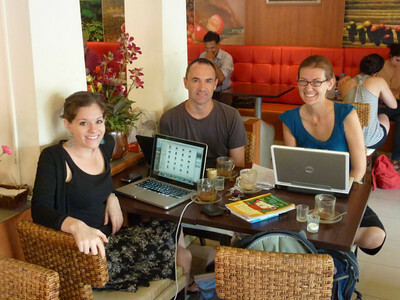 A wifi work party with Jodi of Legal Nomads and James from Nomadic Notes in Chiang Mai, Thailand. 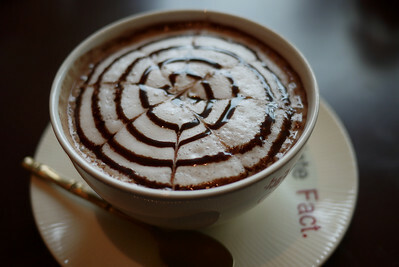 Pretty artwork on the foam of my mocha chocolate coffee!